>Redeem this offerSeize this unique opportunity to access tickets at a special price before everyone else! This offer will be made available to the general public March 26. This was at the Santa Ana location. 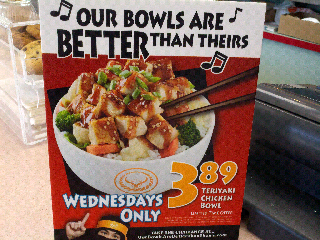 Check your location for the chicken bowl special. Groupon to Grauman's Chinese Theater... Hurry!